The subsite “Oehe-Schleimünde” is part of the large N2000 site Schlei and Schleimünde incl. shallow waters of the Baltic Sea. It is situated at the mouth of the Schlei fjord east of the town Kappeln. It is a peninsula consisting of a former island the Lotseninsel and a shallow beach wall and dunes system, which now connects the island with the main land. 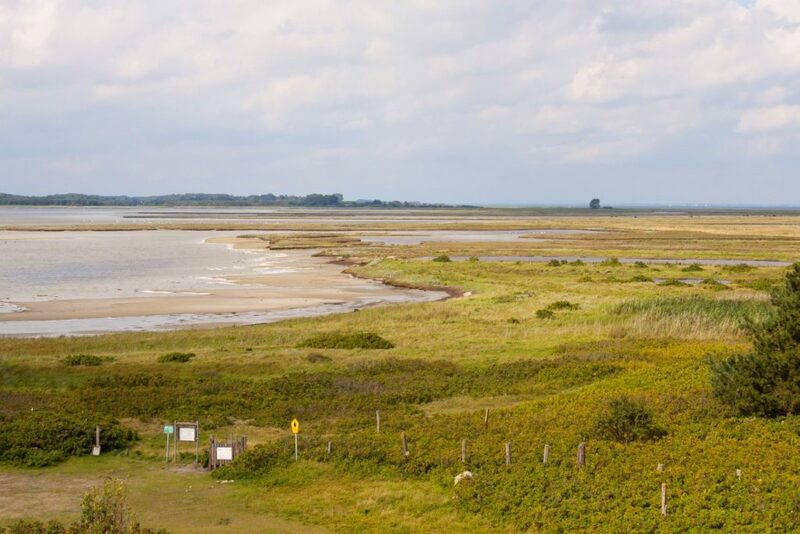 The already since 1927 protected site shows the typical habitat mosaic of coatsla habitats at the Baltic Sea: dunes, dry grasslands, reed beds and salt meadows. It is an important breeding and resting site for birds and public access is denied. Due to lack of breeding ponds the natterjack toad population disappeared. The sand lizard as typical species of coastal dunes also was not found for several decades. The habitats at the site are partly suitable for natterjack toad and sand lizard, which naturally occur in sandy coastal habitats. Today remaining populations are isolated. So it is planned to improve habitats for the both species. For natterjack toads temporary ponds will be developed and for sand lizard the invasive Rosa rugosa will be removed and bare ground patches will be created instead. Hen habitat features are optimal both species might be reintroduced.